Pennsylvania Macaroni Co. Photo by Rob Larson. There are a few places that just speak to Pittsburghers in a way that goes beyond language. Kennywood. Primanti’s. The Original Hot Dog Shop has been feeding Pittsburghers since the Pirates were playing at Forbes Field, and every fall a brand new crop of college kids discover its epic mountains of French fries. These are businesses that go way beyond being mere places to shop or dine or have a good time. They’re necessary parts of the fabric of our city, even as Pittsburgh evolves and grows at the speed of light. If these businesses were to go away, like the McGinnis Sisters stores did earlier this year, many of us would have a hard time getting over it. Ask a true Pittsburgher which establishments they can’t imagine the city without and they’ll quickly rattle off a handful of names. Here are five of our favorites. May they never change. Are your sentimental favorites on this list? If not, tell us in the comments: Which iconic businesses would you never want Pittsburgh to lose? 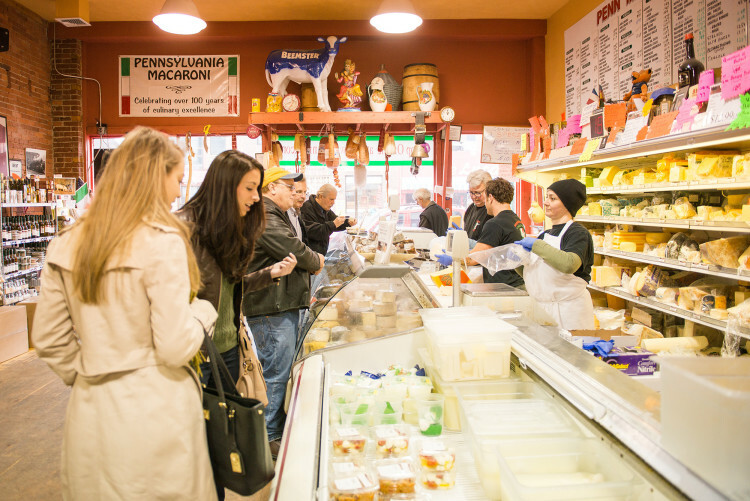 The friendly chaos of the cheese room at Penn Mac is about as Pittsburgh it gets. Take a number, peruse the board, pick from dozens of cheeses from all over the world, jabber with your family, catch some Italian soccer highlights, chat with complete strangers and wait for your number to be called. Ask for a sample or a recommendation. If you’re overwhelmed with choices, just go with what you know — you can’t miss with a nice Manchego or a creamy Istara. Of course, it’s different since “Dearheart” retired, but the distinctively gruff generosity of Penn Mac’s usual cast of characters lives on. Bonus points: You don’t have to leave the building to score some prosciutto or Breadworks bread, a hundred kinds of olive oil, endless bags of pasta, and really anything else you need for a hearty Italian feast. Little’s Shoes. Photo by Mike Machosky. Buying shoes is one of those things that seems to have been lost entirely to the big box stores — except in Squirrel Hill, home to Little’s. 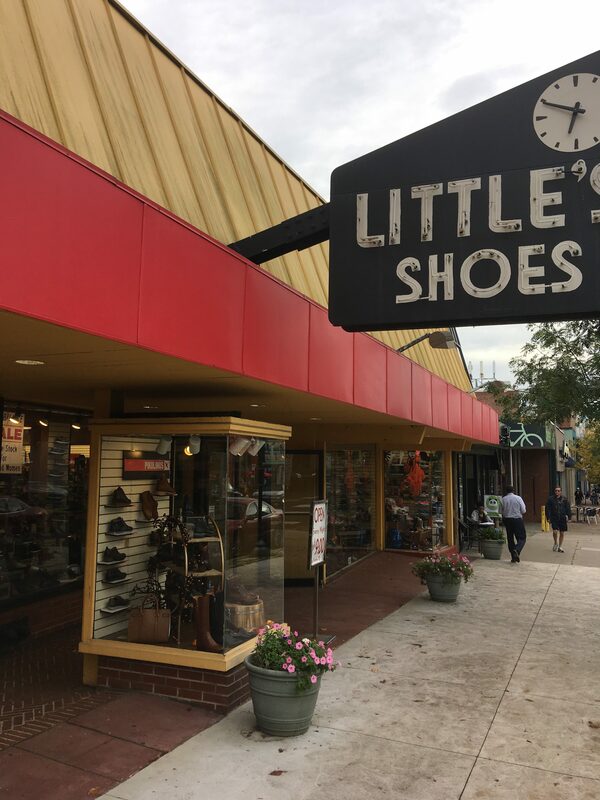 Generations of families have been shod at Little’s, where selling shoes is not just a job. It’s a vocation. Whether you’re looking for waterproof boots to deal with the never-ending rainy season, Crocs with Disney villains on them for the kids or classics like Dr. Martens, Little’s has got them. People come from all over to shop here, with good reason. Little’s also sports some of Pittsburgh’s best window-shopping, and one of the city’s most iconic signs. Jerry’s Records. Photo by Mike Machosky. The best used record store in the world? This might be it. How many hip-hop and electronic albums have been built from the samples contained within the stacks at Jerry’s? How many of your favorite bands have bought their favorite records here? Jerry Weber may have recently retired, but his temple to the cult of almighty vinyl lives on in Squirrel Hill. Rock, blues, jazz, country, funk, gospel — an entire history of recorded music — is contained in these rows of records. Remember, it’s a used record store. So you won’t always find what you’re looking for, because you never know what’s going to be there on any given day. But you’ll always find something interesting and probably unexpected. Start with the records in the front for a first crack at the new arrivals. The sheer volume of records that filters through Jerry’s enables some of the lowest prices anywhere. It’s hard to just grab one or two when you can get an entire stack at low prices. 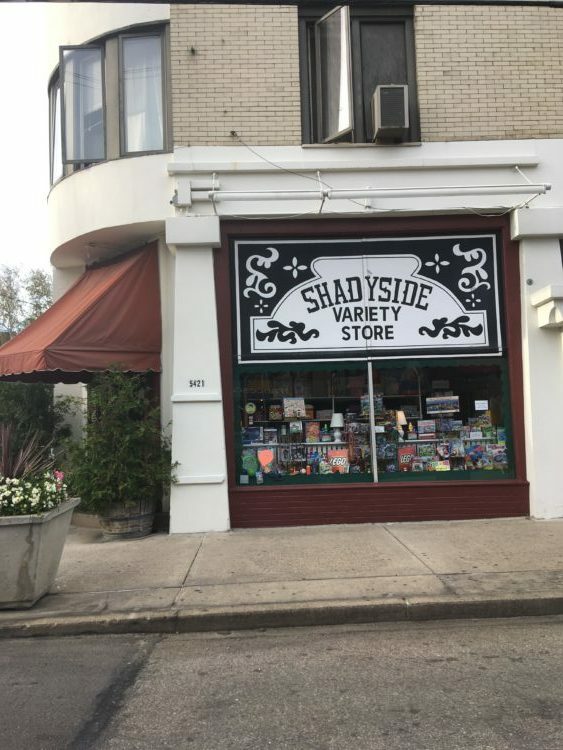 Shadyside Variety Store on Walnut Street. Photo by Mike Machosky. Remember when toys didn’t need micro-cameras, artificial intelligence or an online community to be fun? Like a big pink rubber ball that you just bounce, or throw at your best friend? How about LEGOs, or Frisbees or Silly Putty, or a how-to book for elaborate paper airplanes? This tiny Shadyside shop has been successfully selling simple, low-tech fun for decades, all rung up on an antique cash register. You can’t put a price on fun, but this is one place where the makings of it come pretty cheap.